Here at ISSSP, we have a long history of planning worldwide leadership conferences, with marquee presenters headlining every year. At this point we don’t have any planned conferences, but we have assembled an archived list of our past conferences for member viewing. This is an extensive list of video, audio, and webinar presentations from past ISSSP conferences, and is only available to members. If you are interested in helping organize a leadership conference, please contact us at info@isssp.org. The International Society of Six Sigma Professionals is kicking off its 8th Annual Leadership Conference at the Hyatt Regency at Gainey Ranch in Scottsdale, Arizona. Featured sessions include Value Chain Transformation, led by Marty Sheber, SVP at Advanced Integrated Technologies, and Change Management, led by Jeanenne LaMarsh, international change management expert and consultant who has helped over 500 clients implement the Managed Change™ model. The International Society of Six Sigma Professionals will be holding its 9th Annual Leadership Conference at the Westin Kierland Resort & Spa in Scottsdale, Arizona. Featured sessions include Influencer: The Power to Change Anything led by Al Switzler, Co-Founder and Co-Chairman of VitalSmarts and The Great Discovery: How Six Sigma Can Empower the Ordinary to Achieve the Extraordinary! led by Mikel J. Harry, President of the Six Sigma Management Institute. 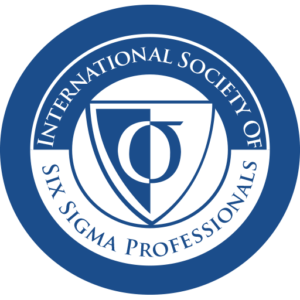 The International Society of Six Sigma Professionals will be holding its 10th Annual Leadership Conference in Scottsdale, Arizona. Featured guest speakers include Timothy Tyson, CEO of Aptuit, and Mikel J. Harry, a leading authority in Six Sigma and President and Chairman of the Board at the Six Sigma Management Institute. The International Society of Six Sigma Professionals will be holding its 11th Annual Leadership Conference in Scottsdale, Arizona. The four-day program will feature Lean, Six Sigma, and BPM leaders and presenters from all corners of the business world. Topics will include Sustainability, Customer Advocacy, and the Strategic Performance Improvement (PI) Model.